I will admit – as a work from home mom, my oldest gets a lot of Netflix time. But when he started spouting off random facts about the Earth, animals, lakes and ponds, I started to feel not so guilty. That is the joy of educational Netflix shows. 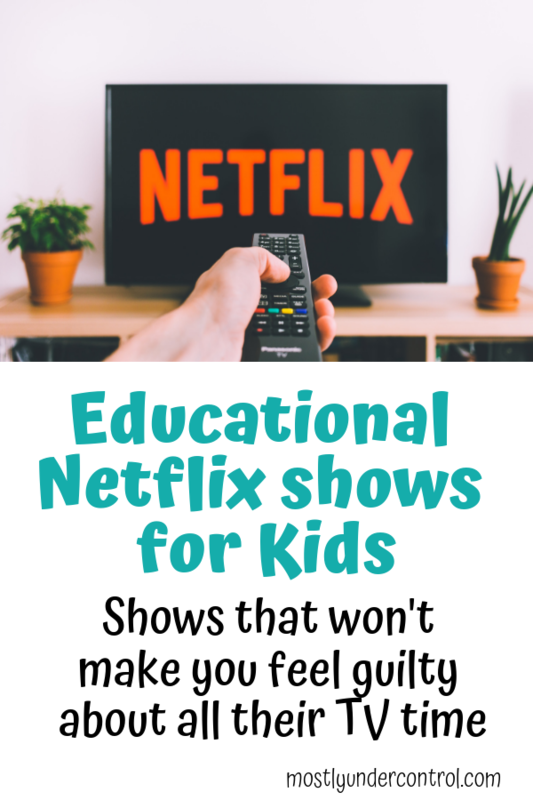 I realized that it really isn’t the worst thing (except when he starts fact checking ME) and wanted to put together a list of shows you can let your kids watch on Netflix and not feel guilty about putting them in front of the TV. Word Party: This is a show about 4 little animals in a daycare-like place (with no teachers, because I have never seen any, but when you’re 2, that doesn’t matter.) They have snack time, nap time, play time, etc. They are “taught” (told what to do) by the “big kids” (kids who are watching.) The songs are catchy as hell and I find myself singing them constantly. They learn/teach lots of words which makes it perfect for kids learning to talk. My 2 year old has a speech delay and cannot get enough of this show. Ask The Storybots: This one follows little bots who live in a computer. They answer all sorts of fun questions asked by the viewers. It is filled with more catchy songs that will get stuck in your head at random times of the day, but each song teaches a concept. So as you’re belting them out, your kids are learning. It’s a win/win if you ask me. They also have a Storybots Super Songs on Netflix that highlights just the songs of the show. We are anxiously waiting the new season. Bill Nye The Science Guy: Does this guy need an explanation? He was the bomb in the 90’s and is (insert word that means cool here) now in 2017. My 5 year old has learned so much from this show, it’s insane. Although we do get into arguments because in Storybots, there are 8 planets, but in Bill Nye, there are 9. There are about 30 episodes on Netflix right now and we’ve seen each episode 30 times. But it doesn’t get old to me, because my kid seems to learn something new each time he watches. Super Why! : ALL THE READING SKILLS. I can’t tell you how awesome this show has been for my 5 year old in his pre-reading skills. He will read the most random things in our environment and I am not understanding how he knows it. It has to be this show. Each episode has different words to read – most of which are sight words which is totally cool with me because that’s just the beginning of learning how to read. Octonauts: We love this one because both of my kids are really into ocean animals. Each episode they highlight an ocean animal and talk about it for the whole episode. Do you know how many facts about one animal you can get into one episode?! No, seriously. I want to know. It’s a lot. Sid The Science Kid: We haven’t watched this one yet, but in my search for educational Netflix shows, this one came up a few times. Sid uses comedy to answer scientific questions from other kiddos. He’s got classmates, a teacher and family to help him answer and explore – including doing some experiments! I am definitely adding this one to our list. The Magic School Bus: Much like Bill Nye, I don’t feel like this one needs an introduction either. Along with the old school episodes, Netflix has released a The Magic School Bus Rides Again series, also exploring many different scientific topics. My favorite episode is still when they get tiny and explore Ralphie’s insides. That crazy, wacko Ms. Frizzle. The Deep: This is another under water show but instead of with random animals like Octonauts, it’s with a family that explores together. But they dive deep (you see what I did there?) into concepts other than animals – they explore cities, sea monsters, pirates, etc. Those are some pretty cool concepts to get into, too! 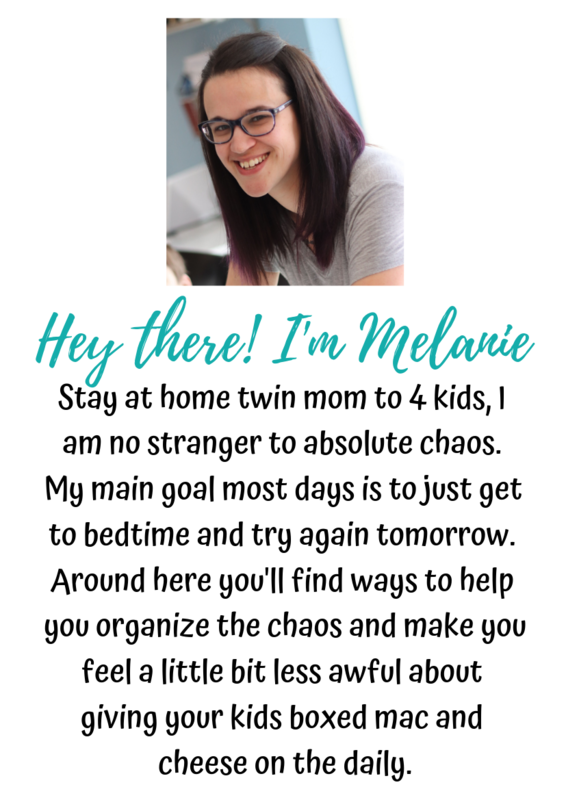 < Previous Postpartum Depression vs Baby Blues – How Can I Tell the Difference?